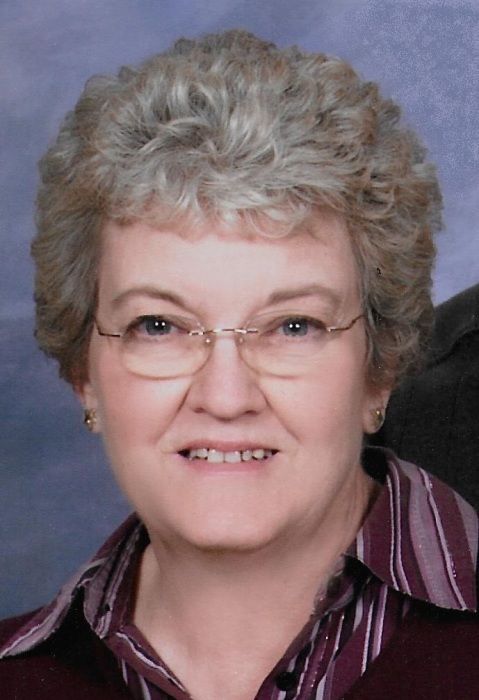 Anita Jean Myers, 74, of Finksburg, MD, died Tuesday morning, January 15, 2019 at Longview Nursing Home in Manchester. She was born on September 4, 1944 in Baltimore to the late Raymond and Ethel (Shiffler) McConahy. She was married to the late Thomas Gerald Myers for 52 years. Anita was the personal secretary of DeChario Properties which owned Towson Plaza in the 1960s. She later worked as a Thermocoupler for W. H. Cooke Manufacturing in Finksburg. She was a member of Sandymount United Methodist Church in Finksburg. Anita enjoyed cooking, crocheting and spending time with her family. She was a die-hard Elvis fan. Surviving are her children, Raymond Myers and Wife, Kyong, of Brussels, Belgium, Elizabeth Hawkins and husband, Bob, of Princeton, IN, and Alan Myers and wife, Shannon, of Hanover, PA; sister, Sharon Haddaway and husband, Dennis, of Ocean Pines, MD; and 7 grandchildren. A Memorial Service will be held at 11:00 a.m. on Tuesday, January 22, 2019 at MYERS-DURBORAW FUNERAL HOME, 91 Willis Street, Westminster with her step-son, the Rev. Dr. David Lee officiating. Entombment will follow at Evergreen Memorial Gardens in Finksburg. The family will receive friends on Tuesday from 10:00 a.m. until the time of the service at the funeral home. Memorial donations in Anita’s name may be made to The Alzheimer’s Association, 1850 York Rd., Suite D, Timonium, MD 21093 or at www.alzfdn.org.